RUSH: Orrin Hatch says that he has talked to Senator McCain. It has been announced that Senator McCain will not be returning to the United States Senate, which is understandable, given the advanced stage of the type of brain cancer that he has. There has been a pilgrimage of McCain colleagues traveling to Sedona, Arizona, which is where the McCain family has a retreat, and they have been sharing stories, reminiscing. Orrin Hatch said that he told McCain that it’s “ridiculous” to not invite Trump to his funeral. “Hatch said he thought keeping the president from his funeral was too much: ‘I think it’s ridiculous.’ ‘Well, he’s the president of the United States and he’s a very good man. But it’s up to [McCain]. I think John should have his own wishes fulfilled with regard to who attends the funeral,’ said [Hatch]. Asked whether McCain should change his mind about Trump, Hatch said: ‘I would'” make sure he’s there. He’s the president; you have to invite the president to your funeral. “Hatch said he does not expect McCain … to return to the Senate. “‘That’s what I’ve been told,’ said Hatch… ‘I don’t know. I hope he does, I hope he can.’ ‘That’s what I’ve been told,’ said Hatch… ‘I hope he does, I hope he can. 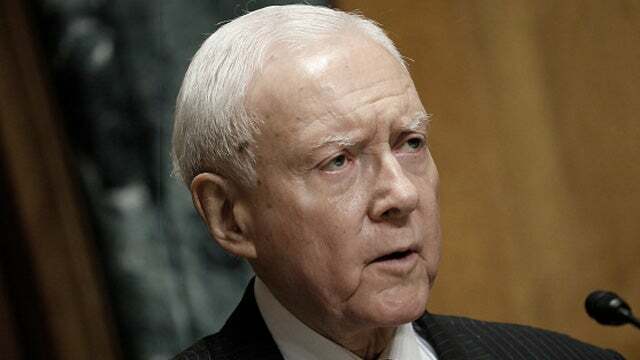 '” Hatch said of Trump, “He would be a very interesting speaker,” as in eulogist, “and would do a good job for John.” Orrin Hatch said can’t knock Trump there. Trump eulogy for McCain would sure be interesting. Can you believe (laughing) we’re talking about this? At any rate, that is the news from Orrin Hatch.